Richard Borgner joined Worden Capital in April 2013, where he is Chief Operating Officer and Supervising Manger. 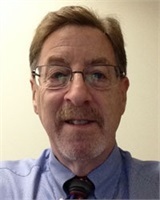 He has over 30 years of experience in the financial industry, including over 20 years in retail. He has held positions as mutual fund and insurance sales coordinator at several firms as well as branch manager. Gradually migrating over to management full time, for the last 10 years has been both assistant and chief compliance officer for several boutique investment firms. He is not only a General Securities Principal, but holds his Options Principal and Municipal Securities Principal licenses as well as his Series 7, 63 and 99. In his short time at Worden Capital he has helped streamline several areas of Compliance and Operations, and increased the efficiency in both areas. Richard lives in Seaford, NY with his wife and family.